To obtain well-ordered crystals of membrane proteins, it is often necessary to include a protein that will act as a crystallization chaperone. Such proteins include antibodies - 164] or DARPins - 165] , or smaller more crystallizable proteins may be inserted into the target protein of interest in the form of a fusion protein. These chaperones facilitate crystallization by using a number of different mechanisms. First, the bound chaperone increases the overall hydrophilicity of the complex. This can be important since many membrane proteins contain relatively small hydrophilic domains. Crystal contacts are usually formed between polar surfaces, which protrude from the detergent micelle. Second, the chaperone can assist in crystallization by further stabilizing the protein in a particular conformation. Finally, co-crystallization with a protein of known structure allows the protein structure to be more easily determined. This is because molecular replacement can be used, as opposed to the more difficult and time-consuming strategies for phase determination using heavy atom derivatives or proteins labeled with selenomethionine. Monoclonal antibodies' fragments (Fv or Fab) have been used as a tool in the structural determination of a number of membrane proteins, including cytochrome c  and the voltage-gated K+ channel KvAP . To be useful, antibodies must selectively recognize only the correctly folded membrane protein, ideally, in a relatively nonflexible region so that the antibody protein complex is rigid. Antibodies can be raised by traditional immunization methods; however, this is problematic for a number of reasons. Native antibodies are not suitable for crystallization since they consist of a number of domains linked by flexible regions. Instead, monovalent antibodies should be obtained by proteolytic cleavage. Such Fab fragments have been successfully used for crystallization . Immunization requires availability of a suitable antigen. It is often difficult to obtain purified GPCRs of sufficient quality and quantity to use as an immunogen, especially if the protein is required for crystallization. Instead, peptide fragments corresponding to particular regions of the GPCR, such as the N- or C-terminus, are often used as the immunogen. However, the use of peptide fragments usually results in flexible antibody-protein complexes that are of doubtful utility in structure determination. A more successful strategy is to immunize with the complete receptor in a stabilized form, such as in a proteoliposome. In the case of the p2AR  . the ICL3 linking the cytoplasmic ends of transmembrane segments (TM) 5 and 6 was shown to be the most flexible region, as defined by protease susceptibility. A monoclonal antibody was generated by immunizing mice with the p2AR reconstituted into proteoliposomes. Antibodies were selected that preferentially bound to the native protein rather than to protein denatured by SDS. The antibodies bound to ICL3 and stabilized a particular conformation, as defined by the binding of a conformationally selective fluorescent dye. For crystallization, a Fab fragment of this antibody was generated by protease cleavage. Recombinant antibody technologies provide a useful approach to rapidly generating protein binders [170, 171]. Techniques such as phage display or the selected lymphocyte antibody method (SLAM) [ 172] use less protein and allow conditions to be adjusted to increase selection of antibodies suitable for crystallization. Such an approach was used to generate high-affinity Fabs, which bound to the conformational epitopes of the citrate carrier CitS, a transporter with 11 transmembrane domains . A number of alternative scaffolds, such as affibodies  and repeat proteins, represent recent alternatives to antibodies. Of particular note are DARPins [165, 174] . which contain multiple domains involved in protein-protein interactions. The ankyrin repeats of 33-amino acid residues are assembled into highly complex variable domains and can bind to a variety of different target molecules. Pluckthun and coworkers have developed a library based upon ankyrin repeat proteins, which represents an extensive repertoire of structures that can be screened for binding to any protein of interest. DARPins have been used to crystallize proteins from several different families, including the membrane protein component of the multidrug exporter AcrB . Potentially, the most rapid and generic approach to increasing the polar surface area of membrane proteins involves the use of fusion proteins. The main limitation to using fusion proteins is in building the link between the fusion and target protein. If the link between the fusion and target protein is too long and flexible, this will have a negative impact on crystallization. In contrast, if the link is too short or constrained, the structure of the target protein may be distorted. 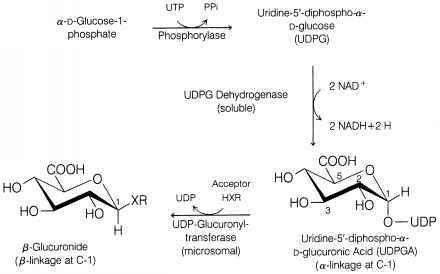 Such an approach was used in attempts to crystallize the 12 transmembrane domain protein, lac permease. To crystallize lac perme-ase, a number of fusion proteins, including cytochrome b562 and T4 lysozyme (T4L) , were inserted into the loops between the transmembrane helices. The insertion of cytochrome b562 into lac permease resulted in the formation of 2D crystals . T4L has also been utilized as a fusion protein in the crystallization of GPCRs. Specifically, T4L replaced most of the third ICL of the p2AR and the adenosine A2a receptor [5, 142]. Through careful optimization of the constructs, residues 2-161 of T4L were inserted between residues 231 and 262 of the p2AR to mimic the predicted distance of 15.9 A between TM5 and TM6, as determined from the structure of rhodopsin [ 35]. Following on from this initial success, the same approach was applied to the human adenosine A2a receptor, in which residues 209-221 from the ICL3 loop were replaced with T4L. In both cases, the introduction of T4L into the protein resulted in high- r esolution structures of 2.4 A and 2.6 A for the p2AR  and A2a  receptors, respectively (Fig. 14.4). As insertion of T4L into the protein does not substantially increase protein stability, the fusion proteins must be crystallized in the stabilizing environment of the lipidic cubic phase. The main problem with T4L insertion is that it appears to affect the conformation of the receptor. In addition, the fusion prevents coupling to G proteins and therefore limits full pharmacological characterization of the engineered protein. Overall, the use of crystallization chaperones, such as antibodies and fusion proteins, has made a major contribution to the field of GPCR structural studies, especially when combined with other methods such as in cubo crystallization.